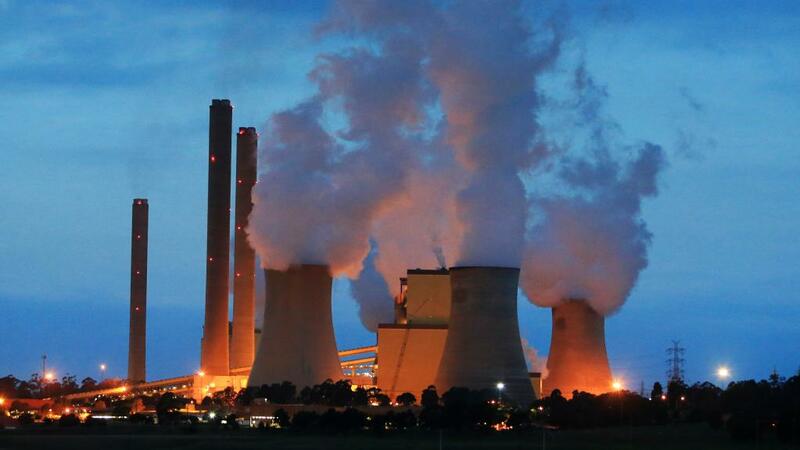 MELBOURNE - THE Latrobe Valley’s coal-fired power stations could be forced to give details of planned closures well in advance to help governments avoid major threats to electricity supply. The much-anticipated review of the national electricity market, to be released on Friday, will outline the need for clear schedules for the closure of coal-fired power stations to avoid rushed decisions on ­energy security. It is believed the Turnbull government will move toward either a clean-energy or a low-emissions target that aims to bolster power security while reducing household bills and emissions. The system, believed to be also favoured by industry, would likely provide a more stable transition to clean energy because coal-fired power would not be driven out of the market as quickly. Sources said that would lead to greater investment in the energy sector, a surplus of production and a cut in prices. It is likely most coal-fired power stations, such as Yallourn and Loy Yang in the Latrobe Valley, would see out their “natural lives” under the government’s favoured system, rather than be forced out of business by an EIS. The new target would be separate from the Renewable Energy Target which have come under fire because of ad hoc federal and state targets. The Herald Sun has been told the policy would provide tradeable clean-energy certificates for low-emissions generation, such as wind, solar and gas and coal which used carbon capture and storage technology. Energy retailers and large industrial users would then be ­required to source a mandated amount of certified clean power. Federal Energy Minister Josh Frydenberg has repeatedly said any solution must be “technology agnostic” including gas, renewable energy and coal. Energy Networks Australia’s submission to the review, chaired by Chief Scientist Alan Finkel, acknowledged the challenges in identifying potential generation closures, particularly with uncertain and poorly integrated state and national carbon policy settings. The group said given the likelihood of further closures of coal fired generation units a new mechanism was needed to better manage changes in the generation mix, well in advance of the closure of the plant. It said the implications for system stability were “too significant” to rely on the past short-term closures, such as Hazelwood, particularly when the amount of power generated could drive energy security to “tipping point”.